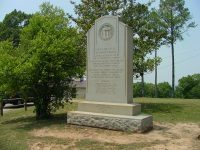 Bullock County was formed on December 5, 1866, from Pike, Barbour, Macon and Montgomery Counties. 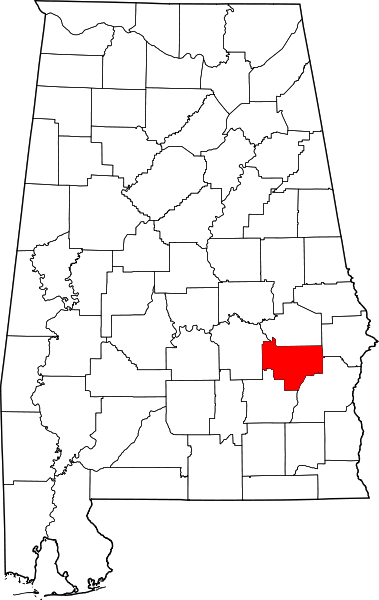 Perote is a very old town in Bullock County, Alabama. 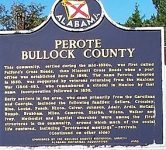 Perote grew rapidly in the 1850s so that by 1860 the community was thriving with several doctors, stores, a carriage factory, a Masonic lodge, and a school. 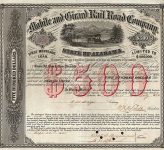 The community’s fortunes fell following the war as cotton cultivation, the area’s traditional leading economic pursuit, receded in importance. 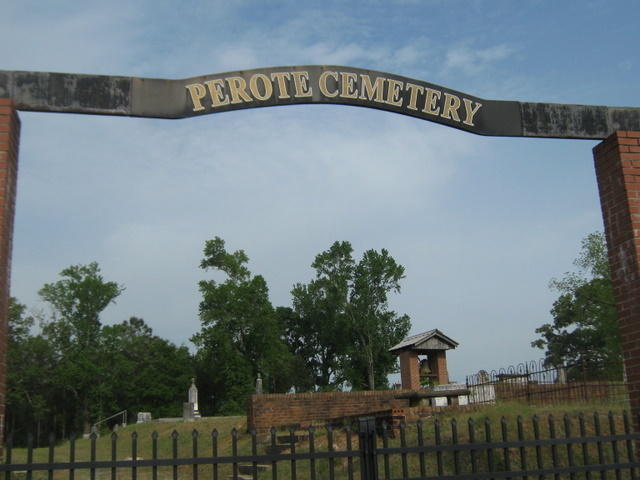 By-passed by the railroad and experiencing several disastrous fires, Perote suffered a steady decline in business activity and population. The following excerpt about Perote was written in 1958. October 7, 1921, the South Bullock District Fair was held here and was a great success. Perote won first prize, Bethel second and Inverness third. Our booth was really lovely with vines of purple wisteria. Nella and Belle Carroll were asked to plan it because they were talented in decorating. We all made the flowers. They also planned a float for a Field Day the county held in Union Springs once. Each school in the county had to a float that represented some historical event. Ours was the presentation of the flag to the Perote Guards by Mrs. M. J. Rumph in 1860. Juliet Rumph, her great granddaughter represented her dressed in a tan silk dress that belonged in Mrs. Carroll’s trousseau, about 1874. Dan Hixon, her great grand son received the flag. The back ground of the float was solid with red roses, a scroll on the side telling what the float represented and was bordered with red roses also the inside of the wheels. 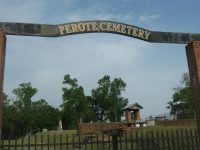 Perote won first prize. Most of the negroes here carry White Angel Burial Insurance. They have white caskets and white flowers and I was told, a white ambulance. 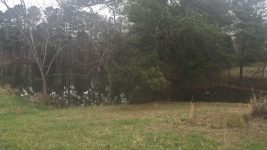 They furnish two cars for the “mourners.” Not long ago a man died in Birmingham and was brought here for burial. They furnished two cars. 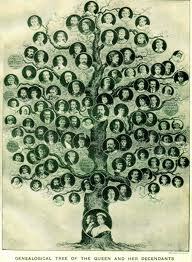 One was filled with people who never knew the dead man. Perote has changed in recent years. So many of its citizens- have moved away, a lot have died and the young people after finishing their education have left home. Most of the girls are teachers and most of the boys are engineers of some kind. People around here are interested in tree farming (1958). So much of the farm land has been laying out since the Government cut cotton, com and peanut acreage. 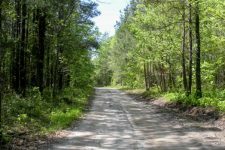 The farmers are raising cattle and a lot of the land is planted in pine trees. There are some renters and share croppers. 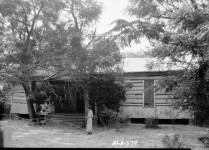 When Dr. Henry E. Peach graduated in dentistry he practiced in Perote a while before locating in Clayton, Alabama. There were two dentists who came here who did your dental work at your home. They used pedal machines for grinding your teeth. Bullock County was formed on December 5, 1866, from Pike, Barbour, Macon and Montgomery Counties. Mr. Christian Rumph was a Legislator in 1888. John R. Carroll was sheriff. Commissioners from here were Mr. D. A. J. Blue, Ben G. High, Ben P. Hixon, and Carl Green. Probate Judge-Fred D. Main. In my early days, Quarterly meeting lasted 2 days, Saturday and Sunday. At 9 o’clock on Sunday they had “love feast”. They served bread and water, after which they had an experience meeting. In those days protracted meetings lasted two weeks or more. There were two camp rounds not too for from Perote for some to attend. Wilkie Springs Camp Ground near Mt. Andrew and Rammage Spring near Brundidge. O fight for Liberty, Friends, and Home. Bravely marched the Perote Guards to the bugle call. Sent their dead comrades back to their native land. Where they suffered and endured like brave true men. Without a fretful murmur or impatient sigh. Till they fell captured not conquered in the bloody fray. Until half of their suffering could never be told. 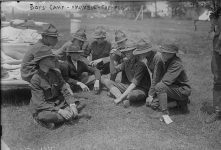 At the sufferings and miseries caused by the war. And this is Memorial Day to the Soldier Boys.